I read somewhere that you’re really not supposed to wash suits – you’re supposed to brush them. I was almost as glad for the poor pigs as I was put out that Anna had to clean Mary’s dress. I’m not sure what that is, but knowing my house it’s probably toddler snot or cat saliva. I used to own a fancy clothes brush but bagged it to the Goodwill awhile back because who uses a brush to clean their clothes? Ahem. Slight amount of spottage still visible; but as you can tell by how large my thumbs are in these pictures, yuo have to be pretty close in order to see it. I feel comfortable re-wearing the skirt a few more times until it is in need of a true laundering. Part of caring for your clothes is not washing them more than necessary – we live in a clean-obsessed culture, but tossing our clothes in the washing machine (and particularly the dryer*) every. single. time we wear them can significantly reduce their longevity. So if I can spot clean a skirt or spritz a shirt with some homemade (and therefore nontoxic**) clothing refresher and therefore conserve resources (and optimize laziness), I’m going to do it. 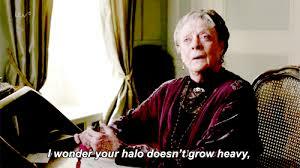 I know, Dowager Countess, I know. *Remember that all the lint you clean out of the lint trap is, in fact, tiny pieces of your disintegrating clothing. Tear. **Febreze has some hazardous ingredients and smells funny to me, so I make my own. It works about as well as Febreze does, which is to say, not great, but not horrible either. What’s your recipe for homemade Febreeze? Em, I used a ratio similar to this: http://bit.ly/2aXEbNE but with lavender. I used both vodka and white vinegar since I liked the vodka we had at the time for drinking and wanted to stretch it out. I have to admit, the vodka + lavender smells like a weirdly floral G&T (or V&T I guess); while the smell fades pretty quickly, it is a little overwhelming when I first spray it. Next time I’ll use just white vinegar or use less/different essential oil. 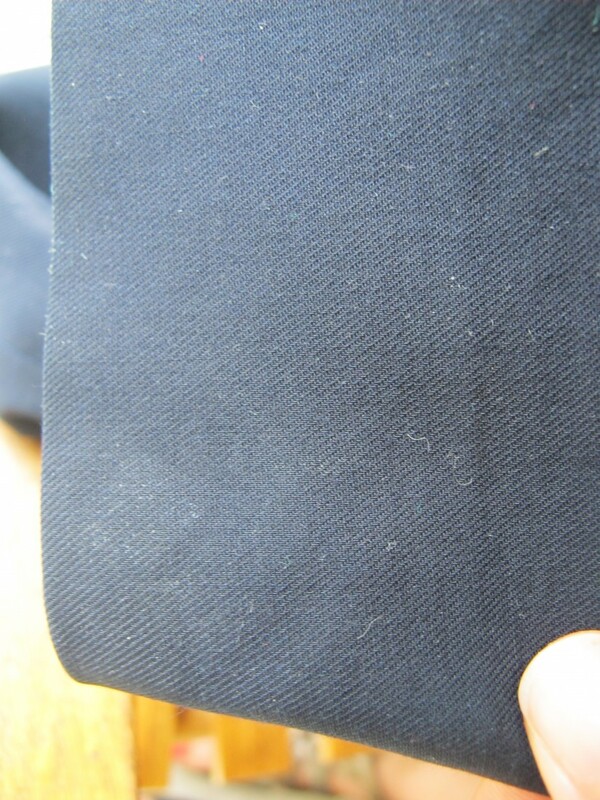 For wool items like the J Crew skirt, you can also spot clean stains using gentle shampoo. Wet the spot with water, rub a small amount of shampoo in, rinse and blot. You can also use rubbing alcohol instead of vodka or vinegar to make lavender water. Sheryl, great suggestion! I don’t use shampoo but I imagine I could use the olive oil soap I do have for a similar gentle cleaning effect. 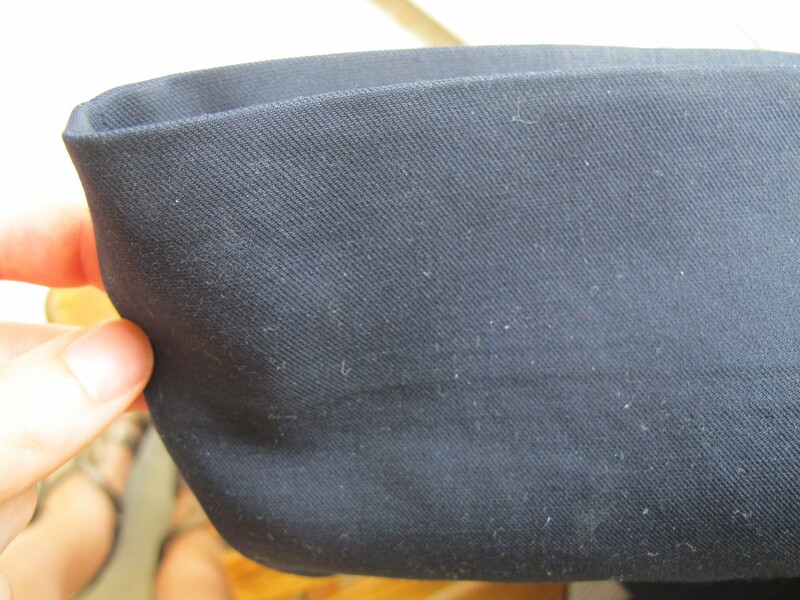 I think the recipe for the fabric refresher mentioned witch hazel, which is basically rubbing alcohol – good thought. Thanks for commenting!